Love Live! 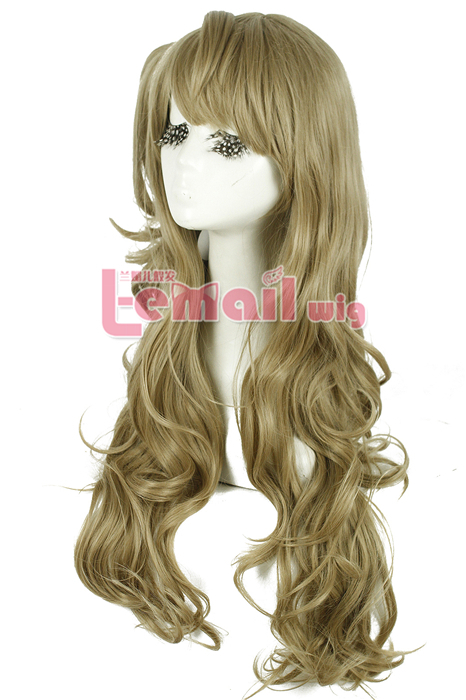 Minami Kotori has flaxen gorgeous wig that makes use of synthetic high temp fiber to create the whole wig and come the best flaxen luster and color. 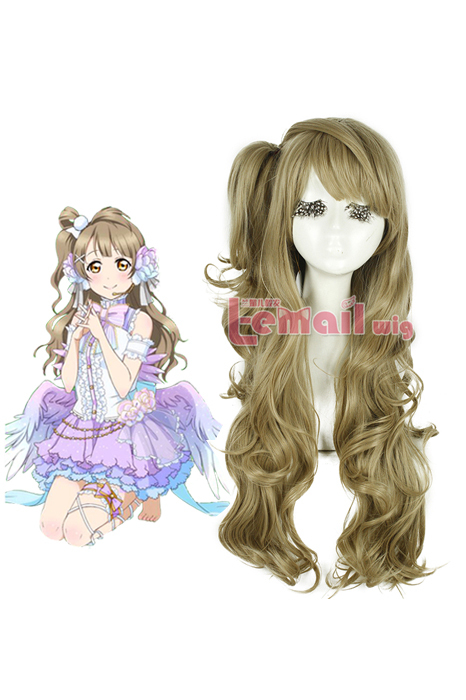 It incorporates main part and clip ponytail to create perfect replication of Minami Kotori’s hair. 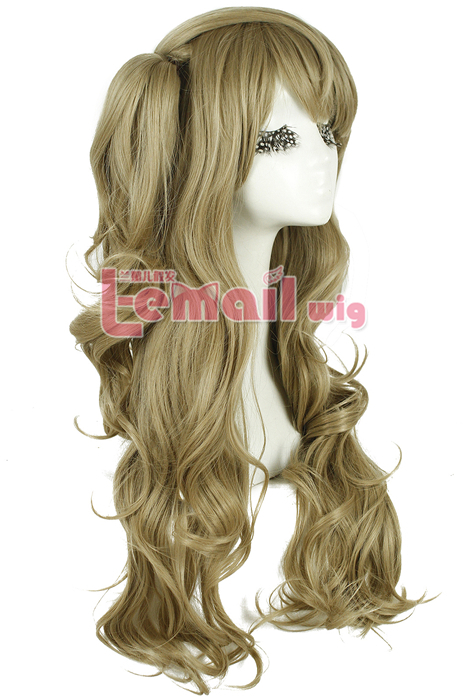 The wig is 75 cm/ 29.53inch long, soft to feel and light in weight. 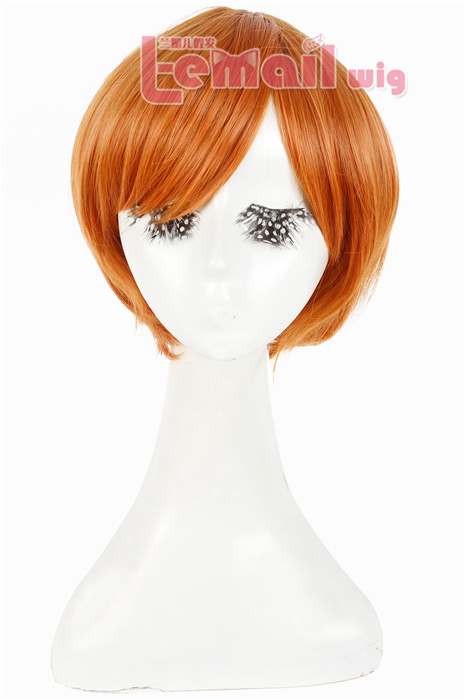 Since the wig is long, the wig is kept thin so that it does not feel heavy on your scalp. The wig comes with well-styled bangs so you don’t need to do much work just need to take it to your hair dresser for the perfect fit. Its high quality material makes sure the whole wig look nice and shows up well under any lighting. If you worry about the color what if it appears unperfect or different from the character, then to be honest this wig does its job of creating true flaxen color!! So for those people who are looking for good stunning colored wig, this one is definitely a highly recommended style! 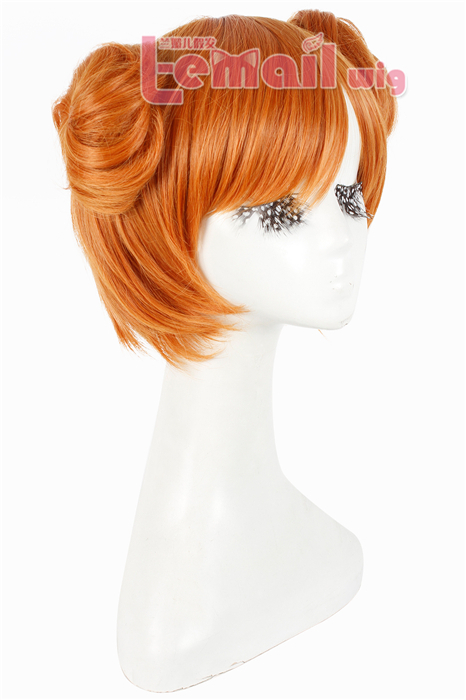 Kousaka Honoka wig is on the other hand very short orange wig. 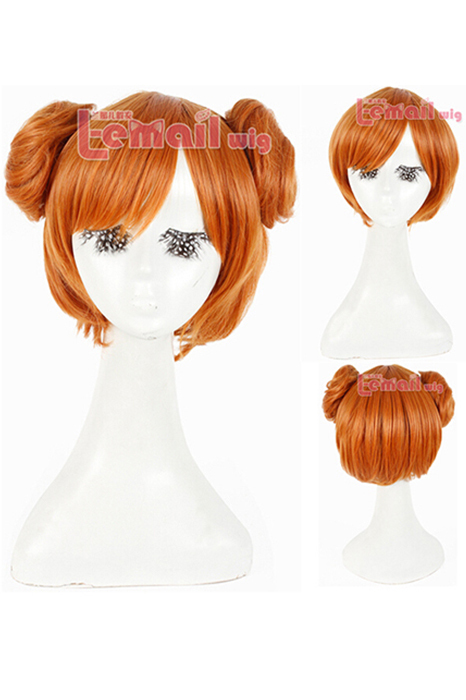 The wig is marinda bright, it has two caps for a true depiction of Kousaka Honoka’s hair. Besides, 30cm long is quite perfect length for hair length. It can cover along the jawlines, is pretty good length to create the character’s look. Only thing you may need to do is to make sure the two caps can get perfect position and keep stay for long enough. 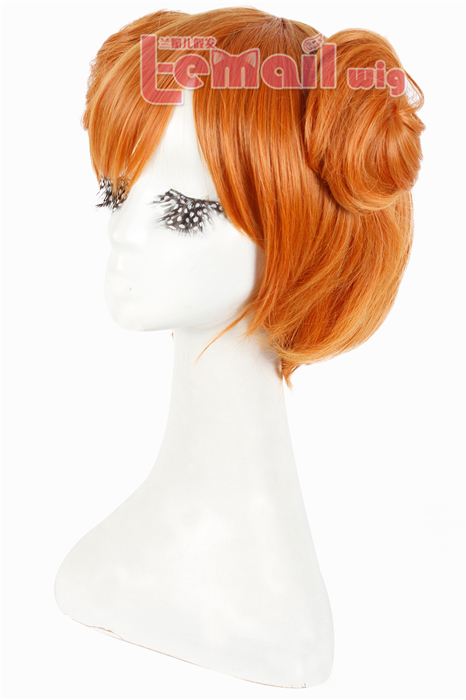 Click here to get detail information about this wig! 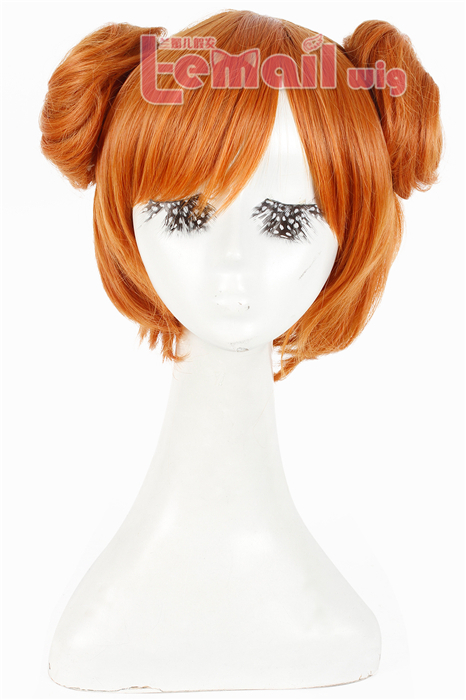 This entry was posted in Buy Cosplay Wigs, Fashion Wigs and tagged Kousaka Honoka Cosplay Wig, Love Live! 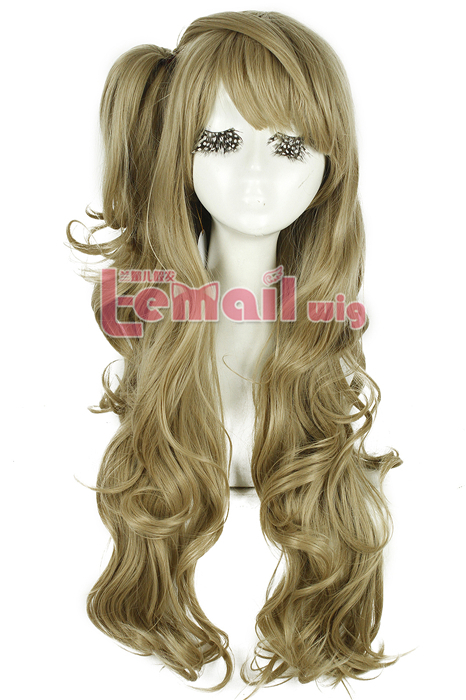 cosplay wig, Minami Kotori Flaxen Cosplay Wig, orange color wigs.